Nestled harmoniously amid a landscape of imposing Swiss mountains, The Chedi Andermatt subtly blends tradition with modernity. 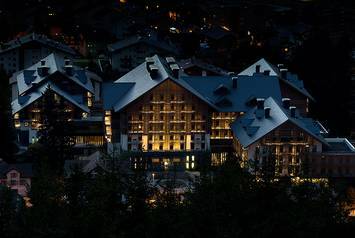 Inspired by the charm of Swiss grand hotels and chalets, it is built in the style of alpine architecture. The high standard of design applied throughout the hotel is evident no more so than in the bathrooms, which present themselves with free-standing KALDEWEI Centro Duo Oval baths. Four other rooms were fitted with the KALDEWEI Kusatsu Pool and in the spa area, KALDEWEI presents the generously sized Conopool as a world first.